JB Decorating - Painter/Decorator based in Bournemouth, Dorset. 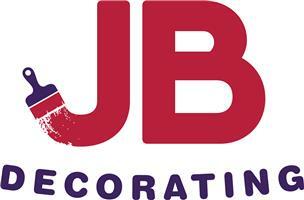 JB Decorating provides painting and decorating services to domestic and commercial customers in the Dorset area. We have 10 years experience in the industry, always working hard to ensure consistently high standards of quality and professionalism in all of our work. Whether you are looking for interior or exterior painting services or require a domestic or commercial refurbishment, JB Decorating have the expertise and experience to get the job done on time and to the highest standards. From the pre-paint repairs through to completion of your refurbishment projects we are with you every step of the way to make sure everything runs to plan. To find out more about our painting & decorating services please contact us on the details provided. Bournemouth, Verwood, Poole, Christchurch, Dorset.